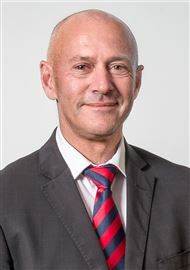 Alan is an integral member of the Harcourts Hawke’s Bay team and brings a wealth of experience to the business with 14 years of experience selling premium property and managing multiple teams. Alan heads up an experienced team mixed with a modern approach but more importantly the team believe in his motto; "Those that work the hardest for their clients, will achieve the best results for their clients". Alan and his team and dedicated to providing exemplary service to both sellers and buyers. If you are aiming to sell real estate you will be met with a tailored and individual approach to selling your property as no two properties are the same so why should the selling be any different? With state of the art technology plus an experienced salesperson at the helm, Alan and the team will maximise the value of your biggest asset. For those of you looking to buy a property for the first time or even the fourth time, his team will actively hunt the market for you and keep you informed of relevant properties that become available. Contact Team Napier today for all of your Real Estate needs. 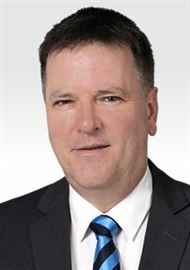 Wayne Parsons is an integral part of the Harcourts Management Team leading the Hawke’s Bay Group Commercial Division. 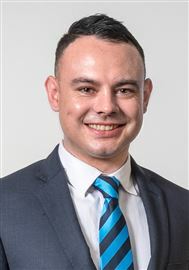 Wayne has 11 years experience selling Commercial Real Estate in the Hawke’s Bay region and is dedicated to providing commercial support, advice and solutions to our clients and also to leading our dynamic commercial team. 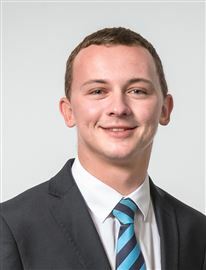 Wayne has a variety of skills and experience, beginning his sales career in the motor trade industry, from there transitioning into the property industry. With many years of Real Estate experience behind him, we are happy to have Wayne at Harcourts assisting our clients and bringing his proven performance to our Commercial team. 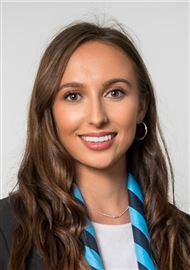 HARCOURTS NEW ZEALAND'S MOST PROMISING AUCTIONEER OF THE YEAR 2018. 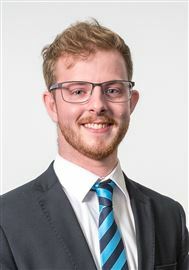 Having completed a degree in marketing through Massey University, Brayden brings a fresh approach to the world of real estate. Being born and bred in the Taradale area gives him a great knowledge of the region. Brayden is the President at the Taradale RSA for 2019 and has been involved in many fundraising activities. This proves his passion for helping people and the community. His personal drive and motivation extends to playing tennis down at the local club, organising and running successful quiz nights, and being involved in theatre since the age of three. Brayden will go the extra mile, to not only achieve a great result for you, but to ensure you have a wonderful experience in doing so. 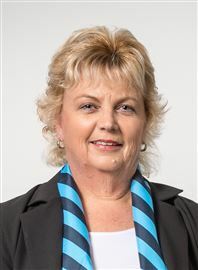 Colleen Schofield has become a well known name among home owners in Hawkes Bay. There is no consultant like Colleen. Colleen prides herself on reputation with over fifteen years experience in real estate. 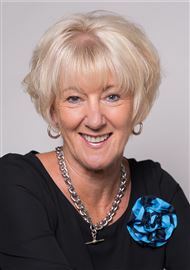 Colleen has consistently performed at the top and is an award winning consultant. To be recommended by past clients and their family and friends is the greatest compliment Colleen can receive. That is the reason why so many of her listings are from repeat business as the level of customer service they receive along with her enthusiasm and love of the job, shines through in the results she achieves. If you want to achieve more, achieve it by calling Colleen Schofield today. With 23 years operating as a self-employed Mortgage Broker and Financial planner, as well as 9 years selling residential and commercial real estate, Gary brings a formidable skillset to the NAI Harcourts Hawke’s Bay commercial team. 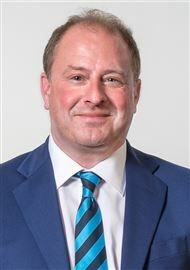 Gary’s local and wider market knowledge and experience together with strong business acumen underpins his determination to achieve outstanding results for his clients. Not only does Gary have an established networking contact base, but also a strong and proven background of exceptionally high levels of service combined with the persuasive negotiating skills necessary to maximise the potential of a property. Gary’s negotiation skills and strong attention to detail were honed through a career as a professional rugby referee, a career which saw him travel to 23 countries around the world, control 110 first class matches and over 200 World Series 7’s matches. Those who know Gary describe him as passionate and energetic with every endeavour he pursues. His strong work ethic, passion and integrity set him in good stead in the competitive Hawke’s Bay commercial market. Aside from real estate, Gary is a life honorary member of the Taradale Volunteer Fire Brigade after working as a firefighter for 19 years. He is also a qualified pastry chef, setting up his first Bakery business at just 18 years old. He’s currently Club Captain of HB’s leading Tennis club, Greendale, is currently sitting his Private Pilots Licence and loves to get some fresh air through what minimal hair he has on his treasured Harley Davidson on the weekends. Passion for perfection, focused, driven, can do attitude, and results orientated are some of the many characteristics that makes Jackie Forsyth stand out. It is this passion and sheer determination that sees her excel in everything she does. Jackie has a professional and friendly approach with a focus on trust, integrity, and customer service. She will stop at nothing to get the results that you desire and will leave no stone unturned when it comes to marketing your property the way you envision it. Jackie grew up in Napier and quickly builds rapport with anyone she meets, whether young or old or from any demographic. 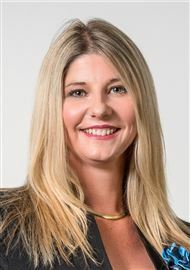 She has an in-depth knowledge of Napier and the surrounding areas, and also the people in the region which she sees as a great advantage in the industry. Let Jackie help you make your real estate dream a reality. Take that first small step of phoning or emailing her today. Jackie is definitely the consultant for you! Johnnie has been in the Bay and living on the hill, for the last decade enjoying everything it has to offer and family life. If he has any spare time, you will find him either in the bush chasing Sika or trying out his latest creation on a back country trout. His previous career at Lloyd’s of London involved high level negotiations, where trust, integrity and professionalism were paramount. He has always been committed to achieving the very best results for his clients and will always strive to that end. Listening to clients, paying attention to detail and being able to articulate that, underpin the duty of care, he readily takes on. He firmly believes that if a client is prepared to trust him to represent them in their negotiations; they can expect nothing less than his full attention, dedication and competency to achieve the best possible outcome. Buying or selling a home – happily or reluctantly – always involves some stress and significant change in people’s lives. It is a transition that Maranu manages expertly. She understands that real estate work is more about people’s stories, memories and aspirations. Our home is where that rich tapestry of life is woven. Maranu’s full working life has been in customer-client based services: nursing, counselling and hospice care. Since 2010 she has brought all this experience to her successful real estate practice here in Hawke’s Bay. Widowed at age 45, Maranu left Northern Ireland to travel the world for two years. After this she decided to move –lock, stock and barrel- and settle in New Zealand in 2008. Throughout her career she refined the essential listening skills needed for managing the complex processes between seller and buyer. She is experienced in providing emotional support and maintains sound ethical values. Her leadership qualities include being respectful of her clients, paying attention to detail while being able to focus on the bigger picture. Mason Scanlan brings an energetic and professional service to the real estate industry. Accompanied by a strong drive to help others and a passionate attitude, Mason is the agent to call today. Attention to detail with expert knowledge and professionality are the absolute standards that Mason stands by. "when selling your biggest asset you want not only the best result possible, you also want someone who understands and listens to your needs". Get in touch with Mason Scanlan for a stress-free process and professional service. 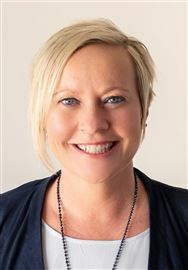 Coming to NAI Harcourts after a successful career in media sales, Shannon brings a degree of experience through working with many businesses throughout Hawke’s Bay, trying to achieve their goals through finding solutions. Great customer service plus hard work and dedication are his strengths and says his biggest joy is seeing client success. Shannon chose to work for NAI Harcourts because of the opportunities and the culture, and he feels the commercial side of the business is going places. Outside of work Shannon loves to support the Hurricanes, All Blacks and Blackcaps. He also enjoys taking the dog for a walk and exploring the cycle trails of the Bay. 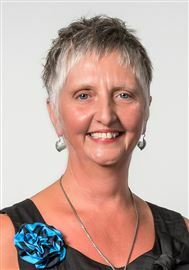 Having lived in Napier for her entire life, Tracey has a vast knowledge of the region. 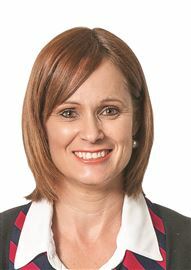 Tracey’s passion for helping people is shown through her involvement in many local school PTAs, organising fundraising events, and theatre productions. 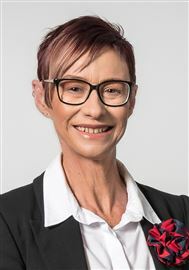 Tracey’s calming and positive attitude, along with her sense of fun, will give you the confidence that your real estate needs are well looked after. Tracey is working along with Brayden to bring you the ultimate real estate experience. “The Coldicutts” are here to help you through a very important time, to help you feel at ease in a process that can appear to be difficult. Let The Coldicutts make real estate comfortable for you. 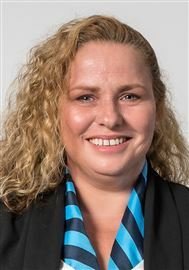 I joined Harcourts after moving from Timaru and working with a private real estate company where I dealt with a wide variety of Landlords and Tenants with whom I had excellent working relationships. 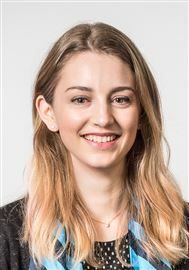 I bring with me a wealth of customer service and administration experience, my interpersonal skills are second to none and I always believe ‘you never get a second chance to make a first impression’. 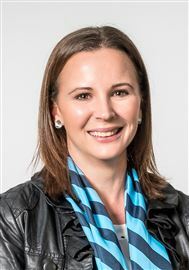 Michelle has traveled overseas extensively, living for some years in the UK, Canada & Australia, working predominantly in administration in the recruitment & health industries. She then returned from overseas and lived in Auckland for some years where her and her husband bought and renovated two homes. In 2009 Michelle and her husband relocated to the sunny Hawke’s Bay from Auckland for a change in lifestyle. 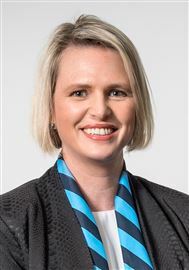 In early 2014 Michelle transitioned to the role of Office Administrator for the Napier branch of Harcourts and is loving the change of industry and interacting with a diverse range of people. Wow - What an Opportunity! In The Heart of Taradale! WOW! Look at The Space! An Easy Walk to Everywhere! Oh To Live Beside the Seaside! What a Buy on Waterworth! Life's a Holiday at the Beach! Be Quick to View Me! Splash Out On This Beauty!